Who knew old school country radio songs could sound so good? 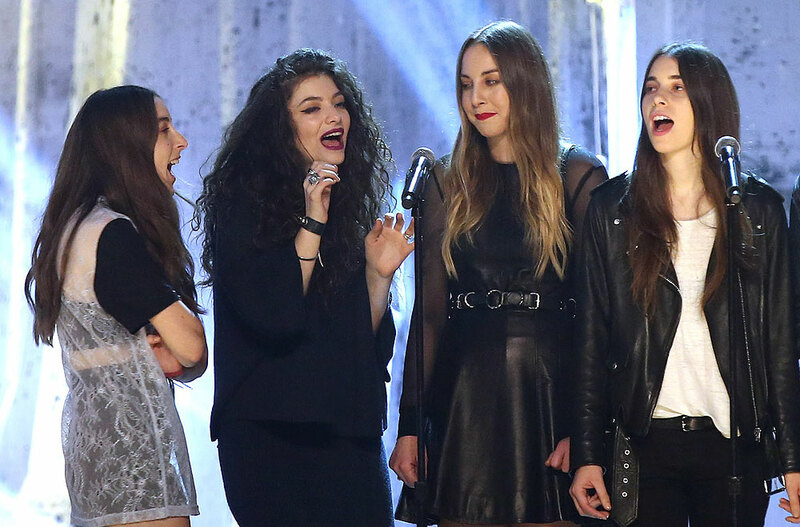 Well, apparently HAIM and Lorde. Both acts love doing covers, but this collaboration came as a surprise a few nights ago at VH1’s “You Oughta Know” concert at New York City’s Roseland Ballroom. HAIM have done a rendition of Sheryl Crow’s “Strong Enough” before for Australian radio, but this version kicks things up a notch. Bringing the New Zealand lady of the year out to join them was a good call; Lorde’s low vocals work strangely well on this song. Watch a video of the performance below and let us know what you think! I think it’s her hair and 8-shades-too-dark lipstick, but something about Lorde makes her look like a strung out 40 year old as opposed to her 17 years. Or maybe her weird movements just make her look like a witch on drugs — the kind you see pacing around next to the liquor store on the corner talking to someone that isn’t there.